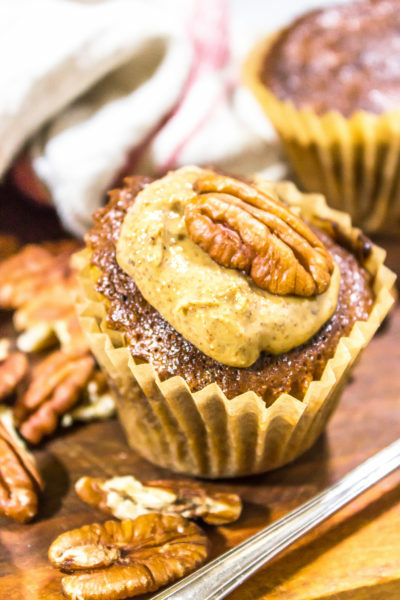 These Paleo Pecan Pie Muffins are super simple with very few ingredients. Plus, they taste just like pecan pie! Preheat the oven to 325° F and line an 8-cup muffin tin with cups. In a medium bowl, beat the eggs and sugar together until thick and combined. Add in the cooled melted coconut oil, then the dry ingredients. Mix just until combined, then divide the batter between the cups. Bake for 20-25 minutes or until a toothpick inserted into the middle of the muffins comes out clean.